Time to give your sweet llama some character! 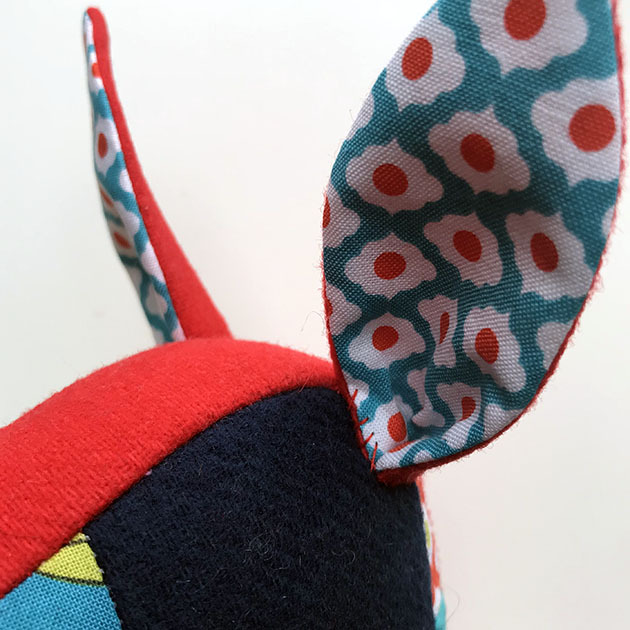 If you’ve completed Day 3 of the Patchwork Llama Sew-along, then you’re ready to add the ears and tail. 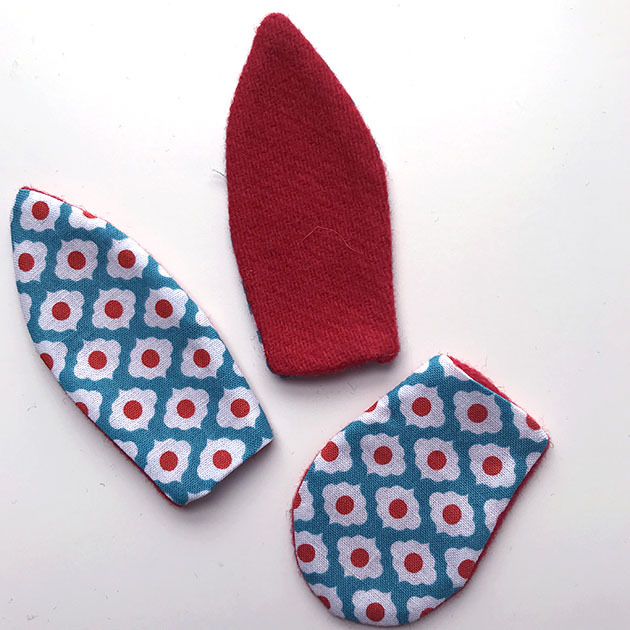 Place 1 wool and 1 cotton ear right sides together. 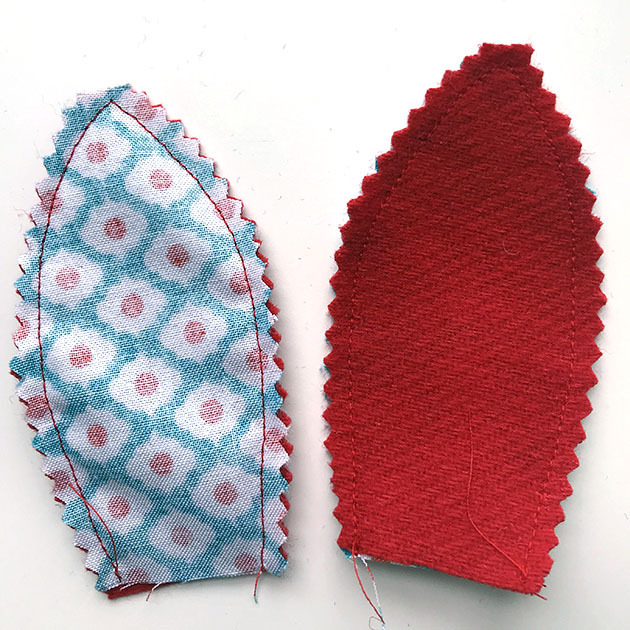 Sew around the curved edges with a 1/4” seam allowance, leaving the straight end open. Clip the point and trim the curves of the seam allowances (with pinking shears if you’ve got them!) Repeat for the second ear and the tail. Turn them right side out and press. Fold in the seam allowances at the openings and press. …and along the side so it stands up straight against the llama’s head. 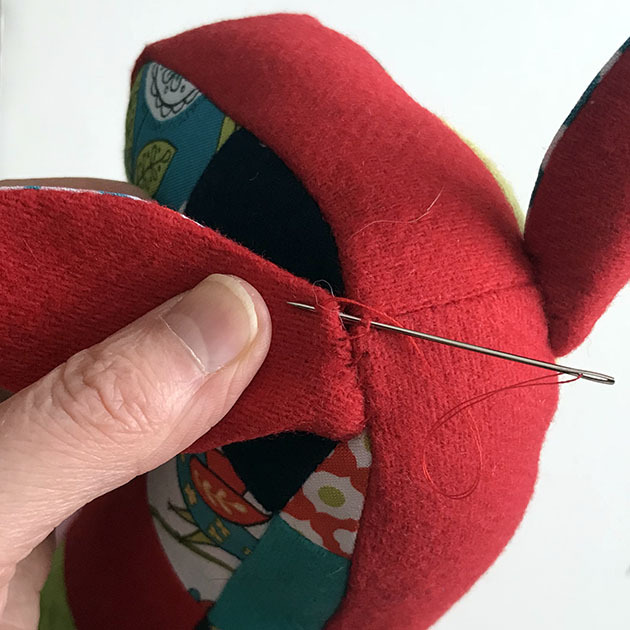 Whipstitch along the other edge at the top of the head as well. Perky ears! So fun. It’s amazing how much personality adding the ears gives. Ok, now the best for last (hehe). 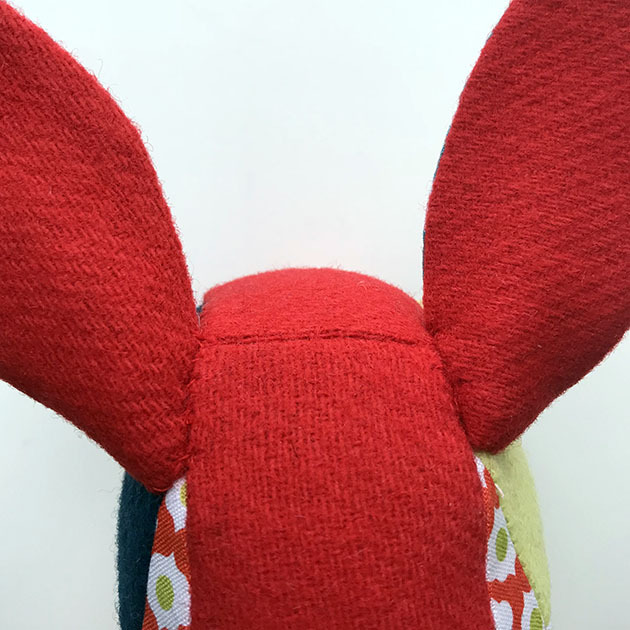 Fold each side of the tail lengthwise, cotton sides facing, matching the corners and whipstitch. 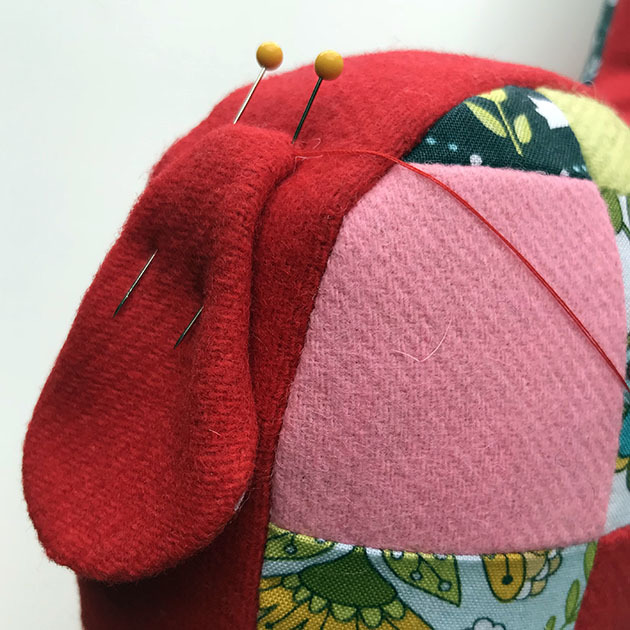 Whipstitch across the top of the tail, centered on the rear end of the llama. 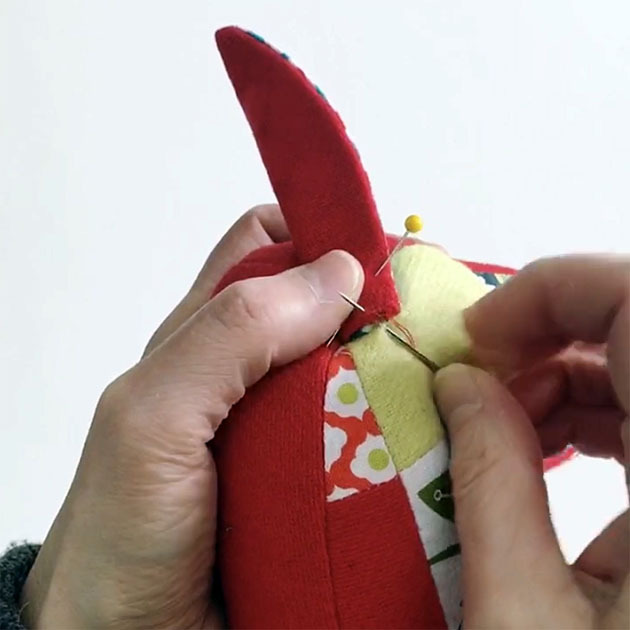 Flip the tail up and stitch it from the underside as well to secure. Tomorrow we’ll finish up with the final embellishments! If you need to catch up, no worries. 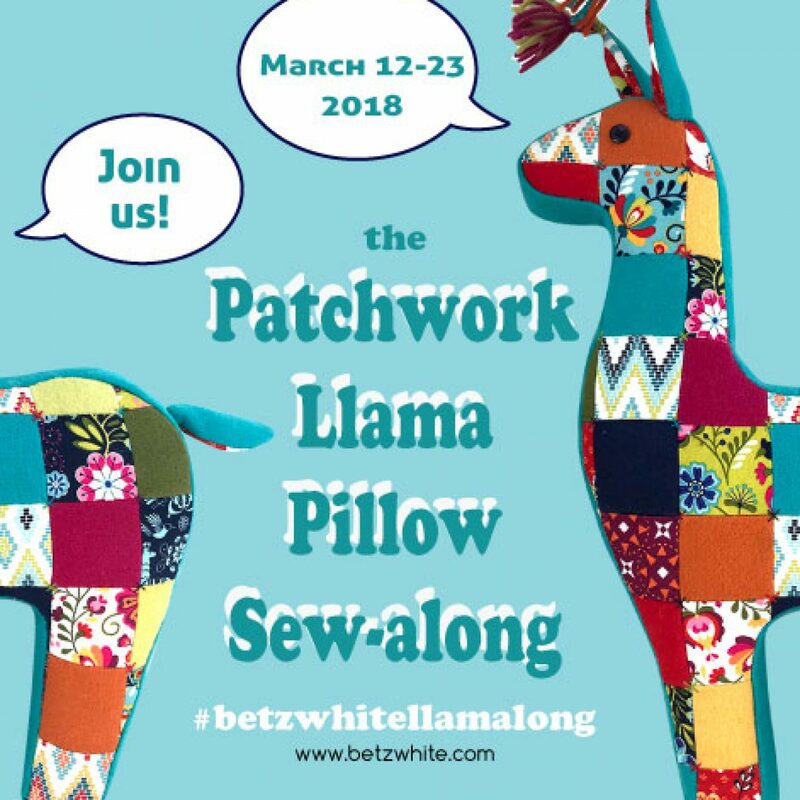 You’ve got another full week or so to finish and post your Patchwork Llama in the School of Wool Facebook group or on Instagram tagged #betzwhitellamalong to be in the drawing for some special goodies! April 1st 2018 I’ll draw a name to giveaway a prize package to one lucky winner.